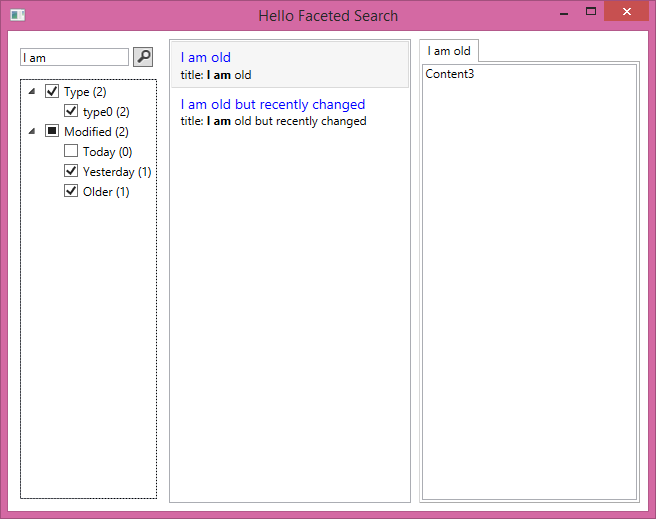 Today i uploaded a quick sample on how to build faceted navigation for Elasticsearch in WPF which includes highlighting of search results. Below is a screenshot of the sample app. Enjoy!